The first Bible study planned deals with the subjects of : love, forgiveness, humility, prayer, friendships and ministry. You have heard what Hollywood has said about many of these subjects. You know your own natural responses when dealing with these subjects. However, do you know what God’s Word, the Bible, says about these subjects? Could it be that the reason we have such trouble with relationships, bitterness, lack of joy and lasting peace is because we are simply ignoring or simply do not know God’s answers to man’s problems. This is an opportunity for everyone to learn together how God can help us in every aspect of our lives. 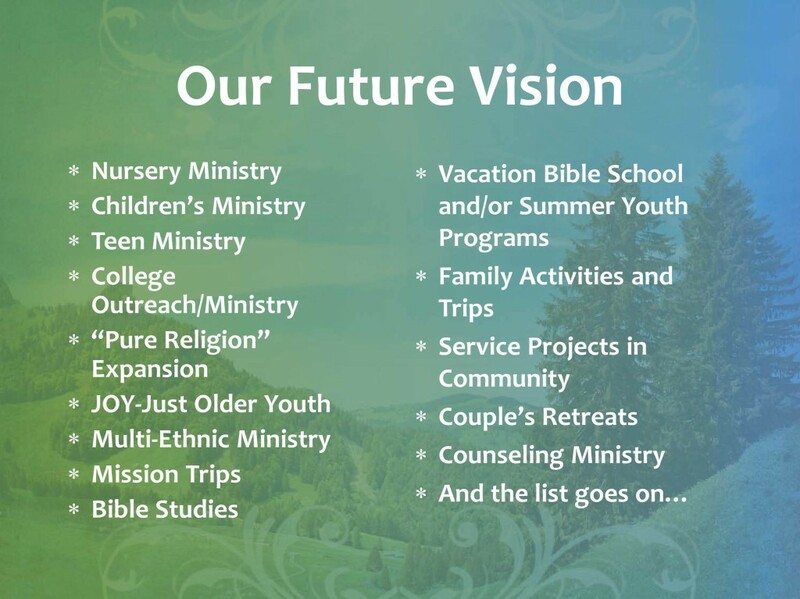 As you can see from our “Future Vision” (see bottom right) we desire to be a church that is “upward and outward focused.” Children were precious to Christ and they will be a priority to Flagship Church. 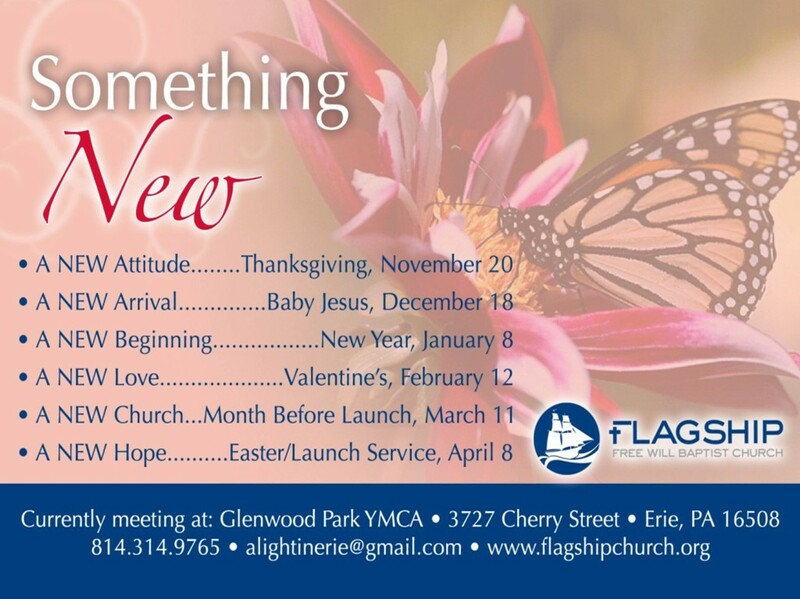 Young adults, often the most neglected age groups in churches, will find a welcoming home at Flagship. Senior citizens will find a great outlet at the church to use their time and God-given talents to make a difference in the Flagship City and beyond. 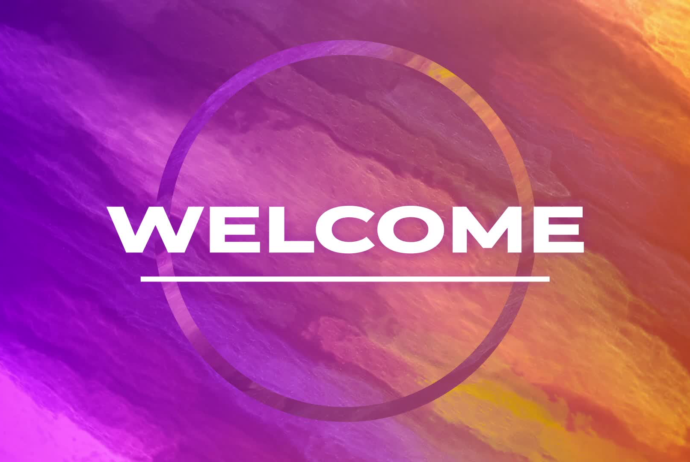 Flagship Free Will Baptist Church is a church that takes seriously God’s command to “go into all the world and preach the Gospel to every creature.” Our arms and doors will be open to people of all ethnicity. 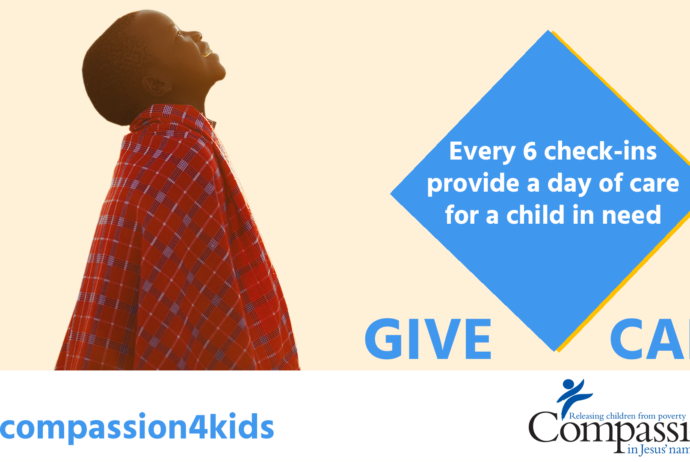 Service and ministry opportunities will abound as we reach out through Mission Trips, Bible Studies, Summer Youth Ministries, Family and Youth Activities, Service Projects in our Community, Couples Retreats, Counseling…and the list goes on. Though some of these ministries will take time and money to develop, they are at the very core of why we exist. As my alma mater says, “To know Him and to make Him known.” That will be our purpose and passion. We hope YOU will consider joining us as we fulfill God’s will together. We have a story to tell to the nations and we have Good News to share with Erie, Pennsylvania! 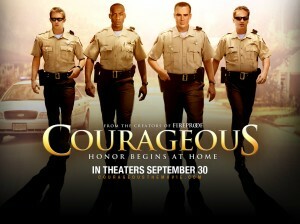 Courageous opens at Tinseltown USA, 1910 Rotunda Drive, Erie, Pa on September 30th. Opens in Erie September 30th! This movie will have the audience laughing and crying, while at the same time leave them with a thought provoking and life changing message! 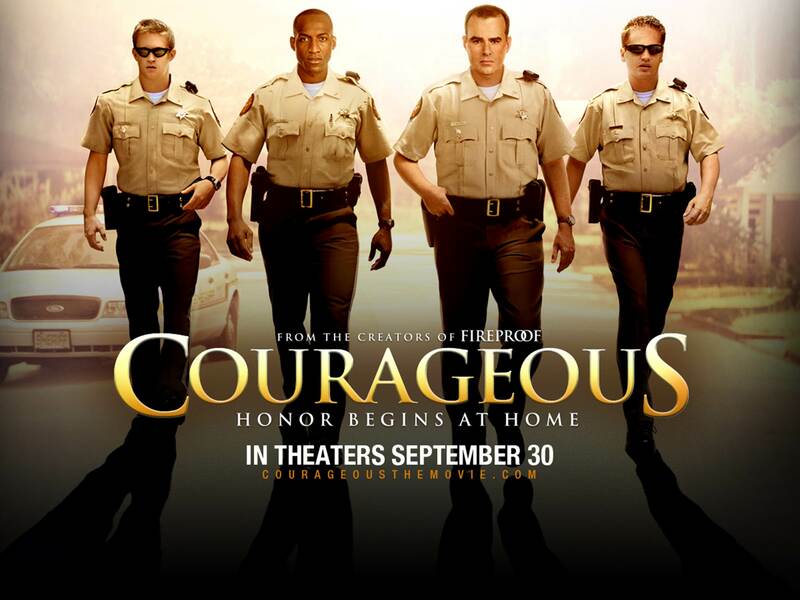 We hope that you will consider going to see this amazing movie! Twenty-eight people gathered at the Glenwood Park YMCA for Flagship Church’s Grand Opening Preview Service. It was a great day! All in attendance were welcomed by smiling faces. After Pastor Grimes opened the service, welcomed everyone and introduced some out of town guests the service began. On this historic day he was also able to share the good news about the Drakulic Family moving to Erie to assist in the planting of Flagship Free Will Baptist Church. 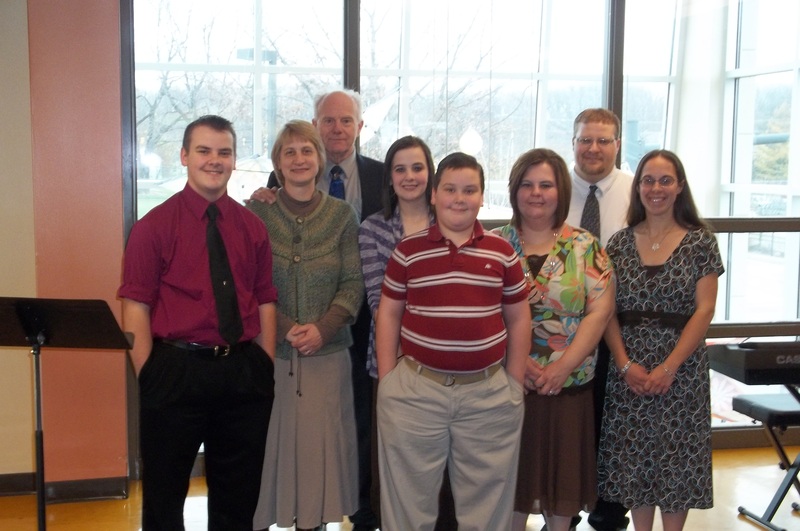 If you were unable to meet this family they plan to attend our Christmas Party on December 15th as well as our December Preview Service on December 18th. We hope that you will make plans to attend.